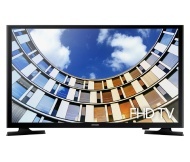 alaTest has collected and analyzed 39 reviews of Samsung UE32M5000 Series. The average rating for this product is 4.5/5, compared to an average rating of 4.3/5 for other products in the same category for all reviews. We analyzed user and expert ratings, product age and more factors. Compared to other products in the same category the Samsung UE32M5000 Series is awarded an overall alaScore™ of 89/100 = Very good quality. As the world's biggest TV manufacturer, Samsung has a great reputation for offering quality across a range of prices. But with no smart-TV functionality, is the UE32M5000 too simple to succeed? Find out in our expert TV review. Wanted a nice simple tv for my mum who is not the most techie person. Good advice from staff and she is very happy with the tv. Surprisingly good quality picture. Fantastic buy. Excellent picture particularly when using firestick. I went for this model as it was the cheapest Full HD TV Richer Sounds sells. The picture is superb but the sound is nowhere near as good as my old CR TV. I suppose the TV is just too thin and light to accommodate bigger speakers. Almost a piece of modern artwork.